Around ninety riders attended the selection event today at the famous Silverstone circuit. It was a full day for the youngsters as they vied for a spot in the British Talent Cup 2018 championship. 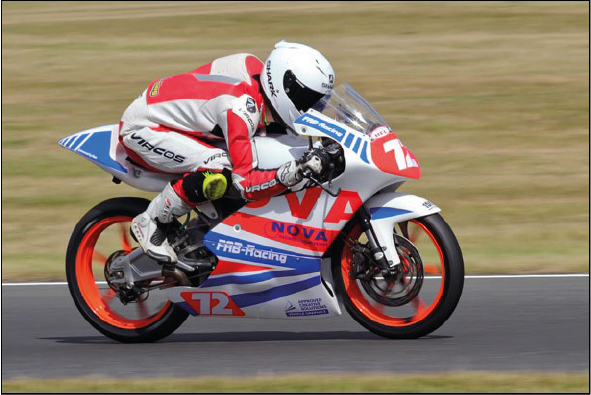 One of the 22 young riders selected to line up next season is Cameron Horsman, who travelled to Silverstone for the Selection Event on Wednesday 24 August. The championship has been set up as a stepping stone to the world stage of motorcycle racing. The races are going to be held at Dorna-run events such as MotoGP and World Superbike. The Selection Event team – including Alberto Puig, Talent Promotion Director, Shuhei Nakamoto, Special Advisor, and Jeremy McWilliams, British Talent Scout -were looking for talent as well as speed, with improvement and skill just as valued as outright pace. 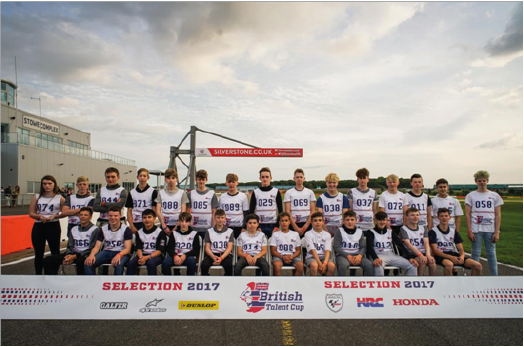 On Thursday 25 August the 22 riders accepted as full time entrants to the Cup in 2018 took part in the Day of Champions at Silverstone as they prepare for their next adventure – invited onto the stage for their first taste of the Road to MotoGP™. in the Northern European Cup. Points were awarded separately to both classes. the track once again was dry for the late afternoon race. and at the flag taking 4 th place in the British class and 8 th overall. managing to finish in 13 th place overall and 5 th place with the British riders.